Vanilla whey protein shakes can help you get an extra dose of protein when at the gym or when you don't have time for a meal. Unfortunately, depending on the brand of vanilla whey protein shake you choose, the flavor may leave much to be desired. Luckily, you can add a number of things to your protein shake to improve the taste, and they're likely things you already have. Similarly, the way you prepare your shake may have something to do with its bad taste, and you can change the preparation method for something more pleasant. Add fresh or frozen fruit to the shake to make it more like a smoothie. Fruit is low in fat and calories so it won't reduce the nutritional value of the shake, rather it will add more vitamins and nutrients. 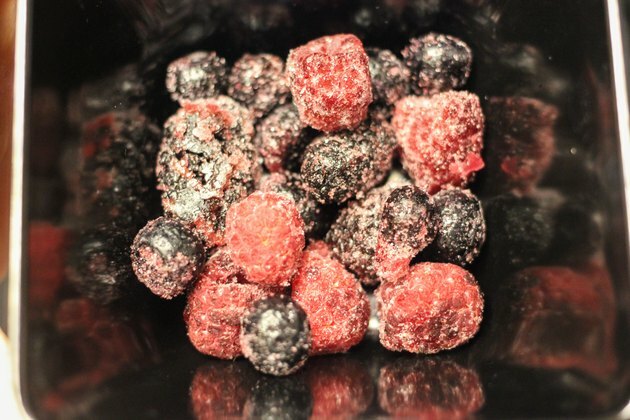 Frozen berries are especially good for this application, and can help thicken up the vanilla shake. Bananas can help make a shake taste sweeter, and you can come up with a variety of fruit combinations until you find your favorite. 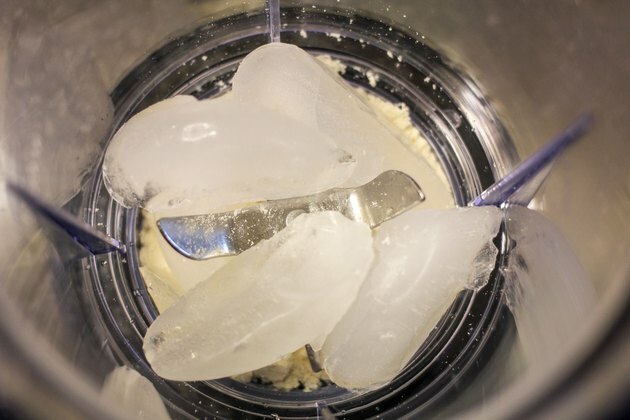 Mix your vanilla whey protein shake in a blender with ice, rather than mixing it with a spoon and water. 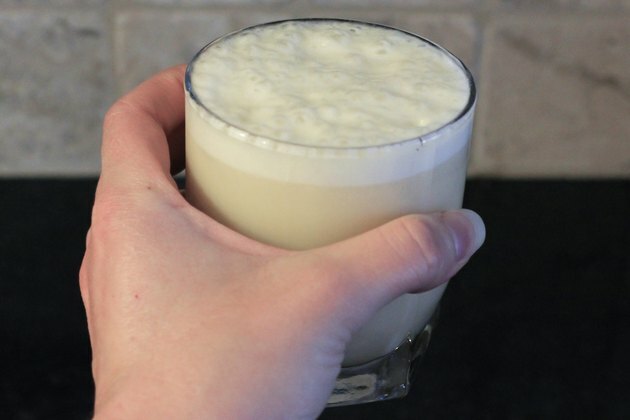 This will help to thicken the shake for better consistency, dilute an especially strong vanilla flavor, and make it more frothy and satisfying. Choose from additives in your pantry. 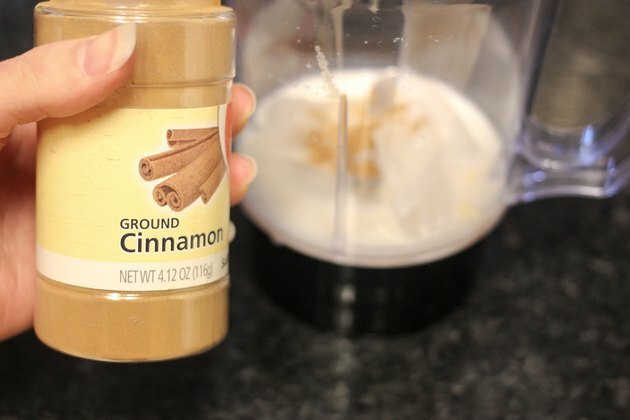 Workout website CriticalBench.com suggests trying cinnamon, vanilla extract, coconut milk or honey. A few spoonfuls of vanilla instant pudding powder can help perk up a less than tasty vanilla flavor. Experiment with different things from your cupboards for new flavors and good combinations. 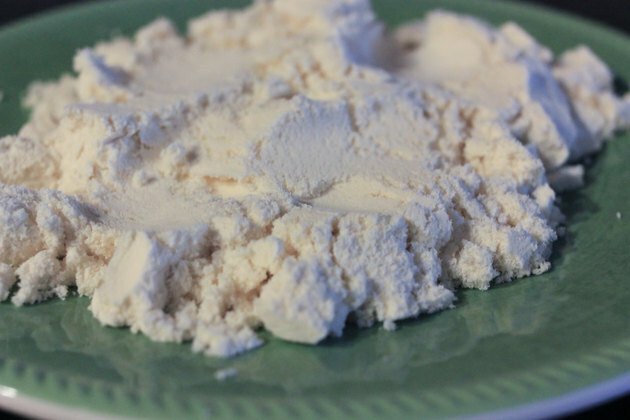 Use less powder than the directions call for, or if you're using a packet pwder, use only half of the packet. It will alter the amount of protein that you consume, but it make help you to stomach a very strong vanilla whey protein shake. 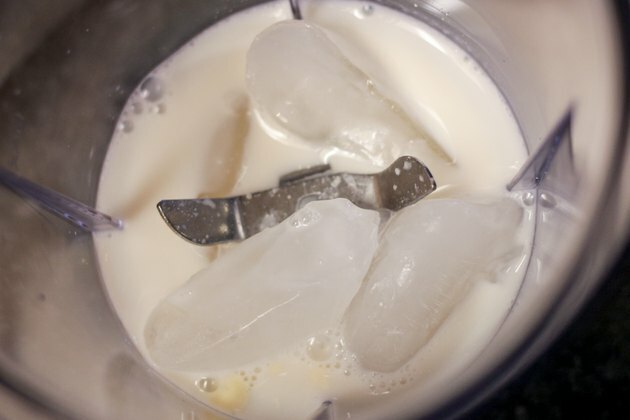 Mix the protein shake with skim or 1 percent milk instead of water. This can help give it a thicker consistency and add extra flavor from the milk. Whip it in the blender for a vanilla whey protein shake that is more milkshake than it is protein drink. While it will add calories, it may be the only thing that helps you to get the protein shake down.